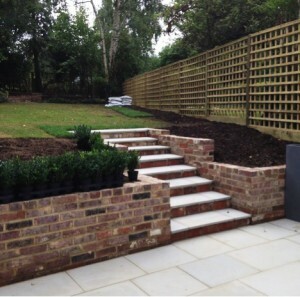 Whatever hard-landscape works Diversity undertake, we take extra care to construct to high standards. Combining our ‘Belt & Braces’ ethos with hard graft, specialist equipment, and nerdy attention to detail, the result is our works being built to look great and last extremely well. 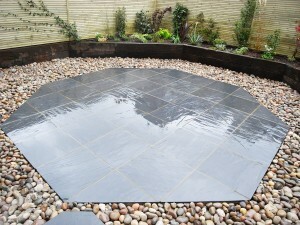 Paving; we specialise in using natural, composite and reclaimed stone products to form fantastic areas & surfaces. Whether it’s a rear garden terrace, path, patio, or front-drive, we combine carefully selected materials and solid building techniques. In doing so, we take care to construct areas & levels that merge in effortlessly with the property & surrounding landscapes. 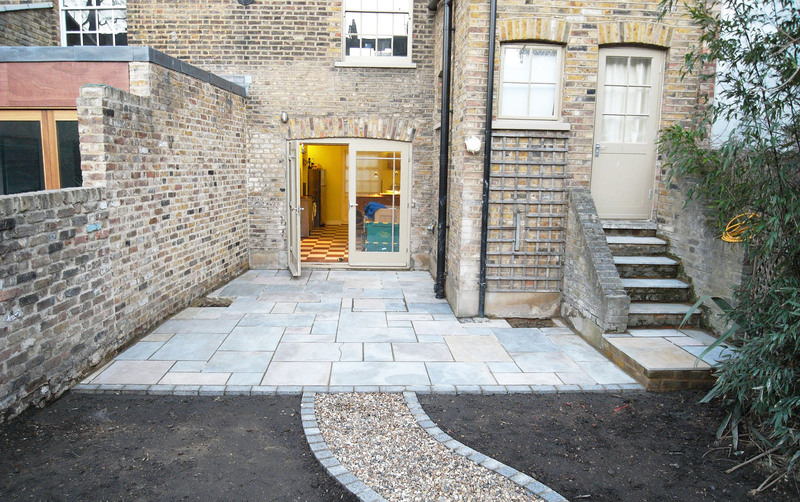 We are well rehearsed in cutting & laying different patterns (such as bespoke, random, or paving-kits) to suit the designer or the client’s preference. Fencing; we think our fences are not built to the average standard – we think you will notice the difference. 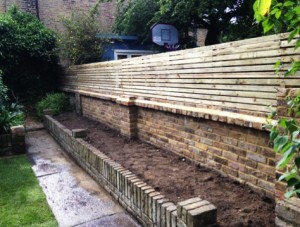 Not only are our fences solidly built; they are designed to suit the garden and fixed with keen attention to detail. Whether fixing a perimeter using standard pre-made 6ft-wide panels, or bespoke 2-3m Close-Board bays, or erecting bespoke structures such as a horizontal-batten screen; the same principles apply, fix strong posts into deep concrete footings, use discrete but secure fixings, and align carefully. This all adds up to a really good looking and sturdy fence. Walls; ClearlyBrick & Block work, especially when used to create or retain levels, has to be done right. From the concrete footings up to the top-course, our walls are designed and built to both be fit for purpose and to look the part. Whether it’s a London-Stock brick wall, built to merge in with existing brickwork, new brickwork, or creating a more modern finish with a rendered concrete-block wall, we install all of our walls to high specifications. Where budgets are restrictive, creative use of Timber-Sleepers can also define and retain levels effectively.